I remember when the coconut was white...hence the name Sno Balls! Always loved this things as a kid; and still find them at my Wal-mart supercenter occasionally. 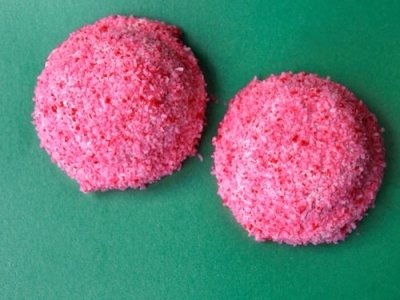 My great grandmother used to make a cake using Sno Balls as an ingredient. I'm sure if I looked hard enough I could find that recipe somewhere on the Internet. I ate the cake (with cream filling inside, I think) and tossed the outside part.